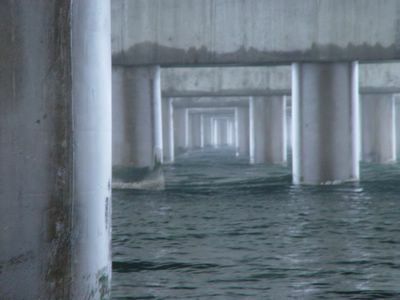 This is another view under the Jamestown Bridge. It was the only picture I was able to take last week with my real camera before the battery died. Looks like a prize winner!